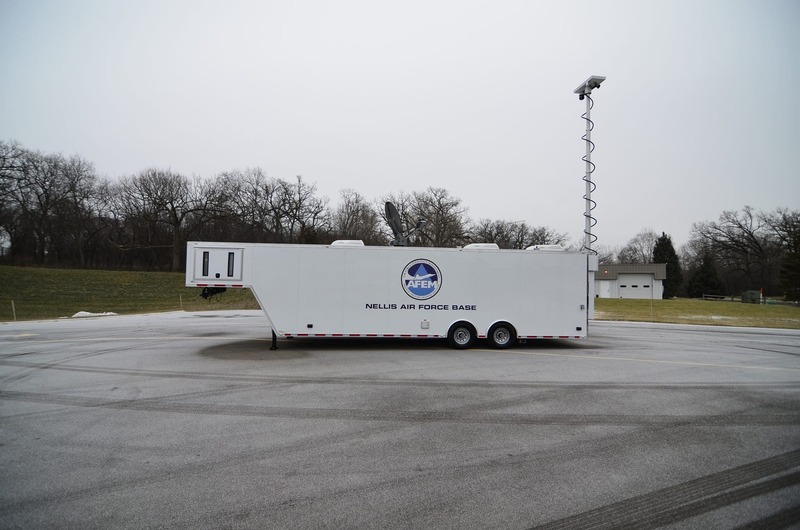 Nellis Air Foce base chose LDV to build their new mobile command trailer. The trailer is a 36ft. long, all aluminum construction gooseneck style (5th wheel) flat floor design and features an interior conference room, interior workstations, retractable awning, CAT6 network, a digital wireless observation camera system, pneumatic mast with perimeter camera, on-board Onan commercial generator housed inside a custom fabricated generator box, rooftop A/C units, satellite communications system, a 1080P webcam camera for streaming and recording and more.